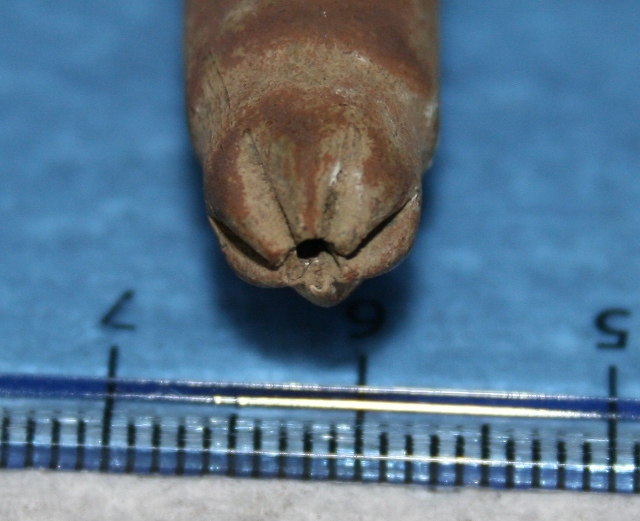 Last year, on a site visit, I found what I thought might have been a WWII live bullet. But when it was pointed out to me that it may be both dangerous and even illegal to possess I decided it was time to hand it in to the police. Before doing so I recorded it the best I could with just a simple ruler and a camera – and noticed what might be some writing on its green copper and rusty iron coloured corroded base. Being without specialist solvents, I chose to use some household methylated spirits to clean its base. Rosette crimped blank .303 cartidge, made by The Royal Laboratory, Woolwich Arsenal, 1893-1904. My approximate measurements indicate this is a .303 cartidge. 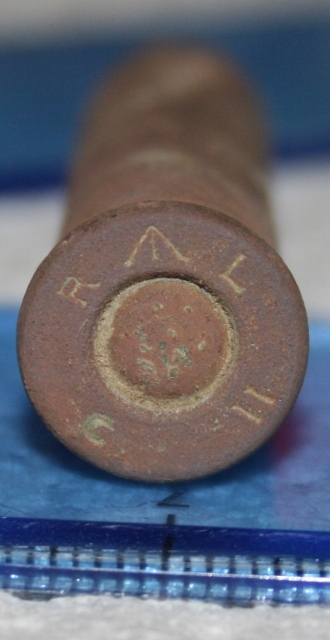 The Headstamp – R ^ L C II – shows it was made by The Royal Laboratory, Woolwich Arsenal, 1893-1904, and was a Mark 2 cartridge with cordite as the propellant. The rosette crimped nose means it was a blank. 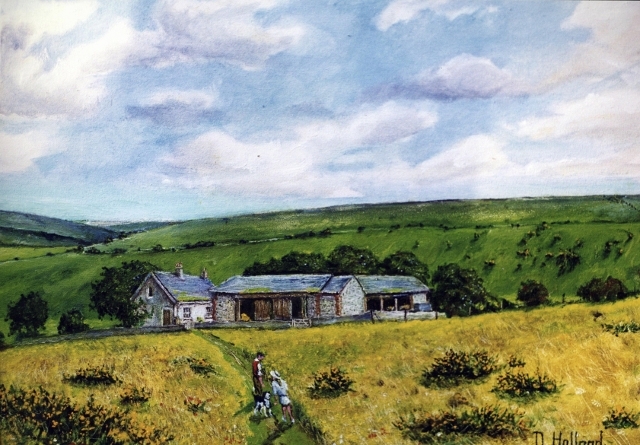 So how might a blank rifle cartridge marking the very end of Queen Victoria’s Reign and the start of the Edwardian Period get to be associated with a farm labourer’s cottage and farmyard? I need to do a little research but I recall seeing photographs of army camps in both Kingston and Falmer of around this time. 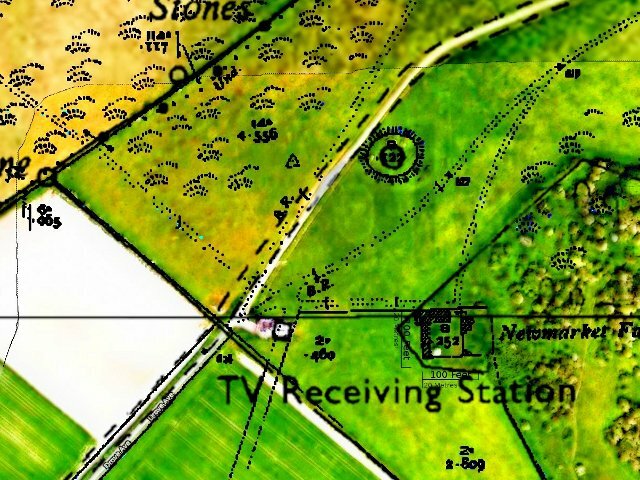 My idea is that it was probably used in army training exercises on the Downs, children may have taken it, and hidden it, until it was found by me a hundred years later. The Davey family in the 1901 Census had no children, but by 1911 the 12 year old schoolboy Leonard Morris, nephew of Frederick and Fanny Moon, was staying in Newmarket Farm. He is definitely my favourite as the person who secretly possessed this dangerous treasure.